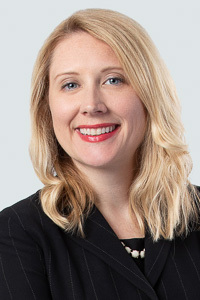 NEW ORLEANS – April 12, 2019 – Coats Rose, P.C, a leading transactional and litigation law firm, has expanded its Affordable Housing and Community Development practice in New Orleans with the addition of Megan Riess, director, and F. Christopher Wootten, of counsel. Riess is a director in the affordable housing and community development practice. Her practice focuses on commercial finance, real estate finance, public finance, corporate finance, and corporate transactions. She has represented clients in numerous commercial transactions utilizing a variety of economic development financing incentives, including state and federal new markets tax credits, state and federal historic rehabilitation tax credits, low-income housing tax credits, opportunity zone investments, Louisiana film tax credits, Louisiana angel investor tax credits, state and federal renewable energy tax credits and grants, community development block grants, HUD-insured loans, tax credit bridge loans, and tax credit bonds. 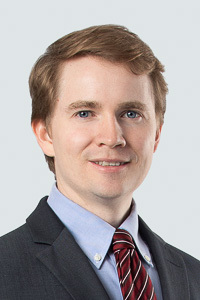 Wootten is of counsel in the affordable housing and community development practice in the New Orleans Office. His practice focuses on commercial finance, government incentives, public private partnerships and real estate development. He has extensive experience closing and advising on projects involving a range of government incentives, including historic tax credits, new markets tax credits, low-income housing tax credits, Property Assessed Clean Energy (PACE) financing, tax credit bridge loans and HUD supported projects. With the addition of Riess and Wootten, the firm will expand its affordable housing and community development practice group to 21 attorneys across six offices. Together, the firm’s affordable housing attorneys are the largest section of attorneys in the southern United States focused on servicing clients across the country – including Texas, Ohio, Louisiana, Arkansas, Mississippi, Kansas, Colorado, Alabama, Tennessee, Georgia, Wisconsin, Florida, the Carolinas and Washington, D.C.
Coats Rose is a business transactional and litigation law firm based in Houston. For more than 30 years, the firm has leveraged its vast legal experience to fulfill clients’ needs in numerous transactions and controversies, spanning real estate law, affordable housing and community development, public finance, commercial litigation, construction/surety law, intellectual property, government relations, labor and employment law, mergers and acquisitions, securities law, tax, and wealth planning and preservation. Coats Rose also has offices in Dallas, Austin, San Antonio, New Orleans and Cincinnati. Learn more at www.coatsrose.com.